Looking for Gift Vouchers? Look no further, you’re in the right place and just a click away from purchasing the perfect gift. 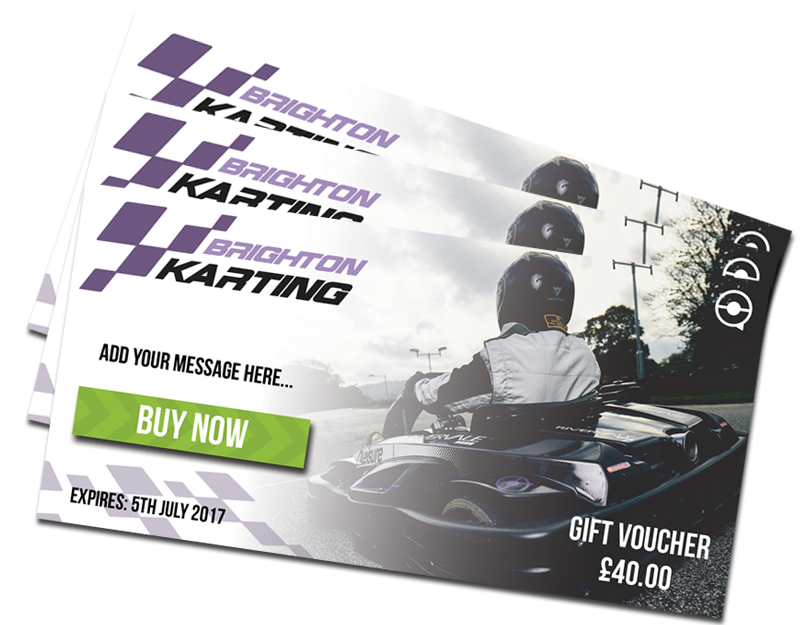 Our Qleisure Activity and Brighton Karting Gift Vouchers really are a ‘one size fits all’. Vouchers start at just £20 and we cater for everyone from 8 years – 88 years of age. Our Gift Vouchers are a superb Birthday Gift, Christmas Gift, Corporate Reward, Valentines or Anniversary Present. Make it personal with a message and choose to email the voucher directly to yourself or the recipient. We have plenty of options to choose from, individual, group and family Karting experiences. Everything you need should be there, if its not then just call us and we’ll make it for you. Based in West Sussex, just 20 minutes from Brighton’s Town Centre and 20 miles from London Gatwick this is the perfect gift for anyone that enjoys racing in the local area. The best gift is one you don’t forget! A Brighton Karting experience is sure to never be forgotten.